A chart gets difficult to read if it has a lot of data plotted on it. While it is a good practice to plot only the relevant data, there are situations where you need to show a lot of data points on a single chart. In the above chart, when you click on the button, the selected year’s series gets highlighted with red marker outline and the data labels. Get the data in place. For this chart, I have Revenue Growth numbers for each quarter during 2012-15. 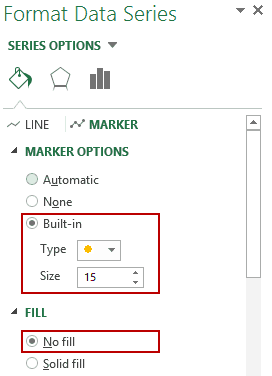 Select the entire data, go to Insert –> Charts –> Line with Markers. This would insert a line chart with three different lines for each year. Go to Insert –> Illustrations –> Shapes –> Rounded Rectangle. Click anywhere on the worksheet and it will insert a Rounded Rectangle in the worksheet. Select the rectangle for 2013, go to Name Box and enter 2013. Similarly, do the same for 2014 and 2015 boxes as well (Name Box is at the left of formula bar). In cell F2, enter 2013 (you can enter any year from the data). Select cells F3:F6 and copy it (press Control + C), select the chart and paste (control + v). This would create two lines for the same year (while copying, notice that the line color of the selected year changes). Now to make the buttons functional, we will use a simple VBA code. Simply copy the following code in the VB Editor. Press Alt + F11. It will open the VBE Editor. Go to Insert and click on Module. This will insert a module. Double click on module icon, and paste the code on the code area on the right. Right click on the shape and select Assign Macro. 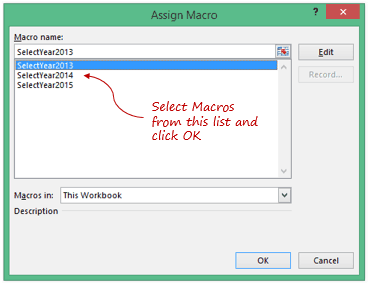 In the Assign Macro dialog box, select the macro and click OK. Note: Since this workbook contains a macro, save it as a .xlsm or .xls format file. Now your dynamic chart is ready. 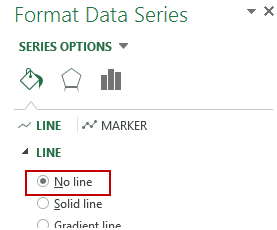 With a single click, you can now highlight data points for the selected series. 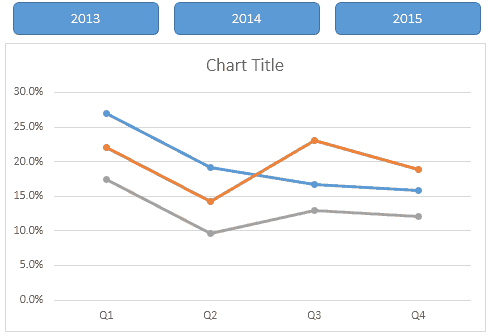 Dynamic Pareto Chart in Excel. Spot the Data Point in Excel Scatter Chart. 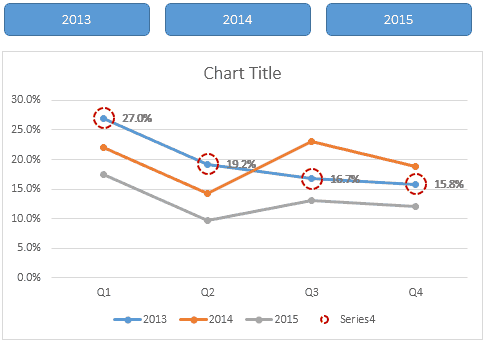 Dynamic Chart with Series Selection Check Box. 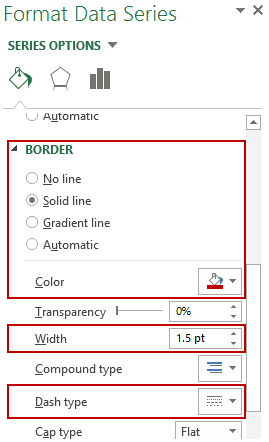 How to Create Dynamic Chart Titles in Excel. I have market data for various brands for 2013, 2014, 2015 and it contains varying data types (i.e. Numbers, %ages and floats etc). 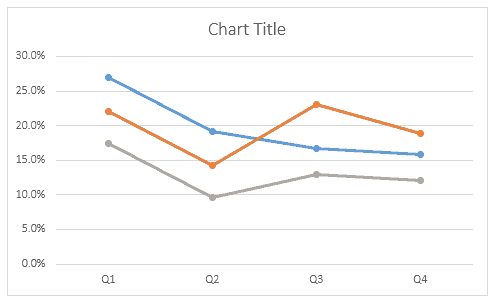 How can I use charts to show these values with dynamic Y-Axis values according to the particular column header. Note: My data is like:- Brands in rows and various parameters in column headings. Above column headings I have year for particular set of headings. I need something like you showed here in this article. Please help. Great..wonderful..I can impress my boss with this one! thanks Sumit! I like your concept for highlighting the data points in the chart. I will typically create a dummy pivot table based on a list of the years so that I can use slicers to select the year to highlight the data points instead of shapes. This eliminates the need for the VBA code and adding named ranges in setting up the chart. This is awesome. Now I can see hundreds of situations where I could have used it. Thanks for sharing this..